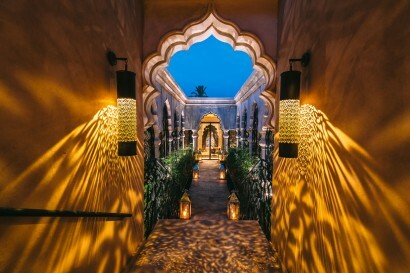 Palais Namaskar continue to offer a unique and complete experience. 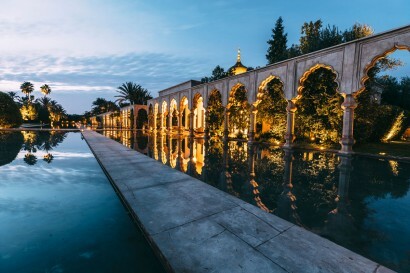 The property is Positioned amongst the Top hotels in Morocco with the implementation of an important action plan to maintain the awareness and exposure of Palais Namaskar. 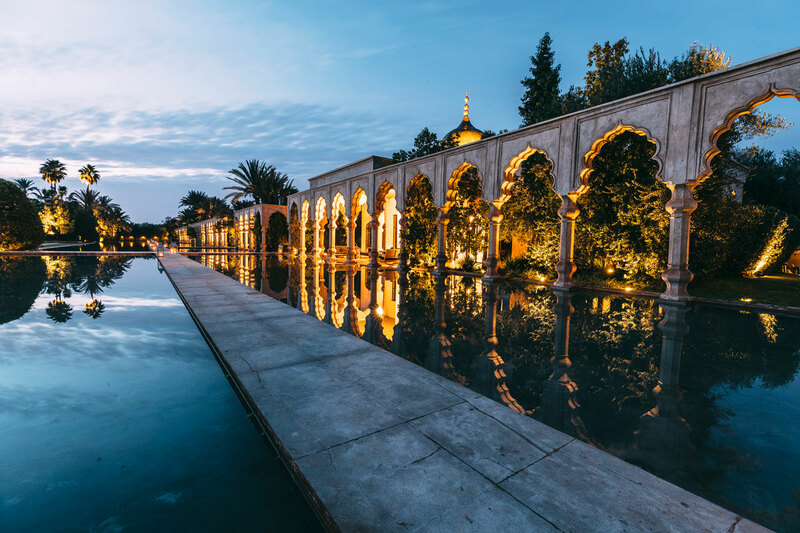 Located between the desert and magnificent Atlas Mountains, Palais Namaskar is a luxury oasis of serenity and wellbeing. Commanding more than 5 acres of lakes and amazing views, the resort is source of good energy and enjoyment for lovers and families. Its architecture is inspired by the Feng Shui concept and its great effects, enhanced by the famous French-Algerian designer Imaad Rahmouni with oriental and contemporary touches. 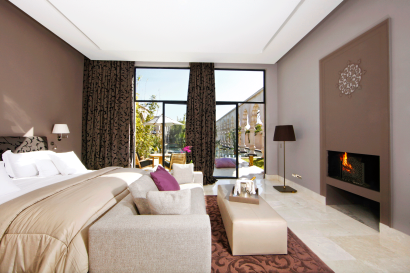 Palais Namaskar contains 41 spacious units in total, surrounded by waterways, gardens, private pools. 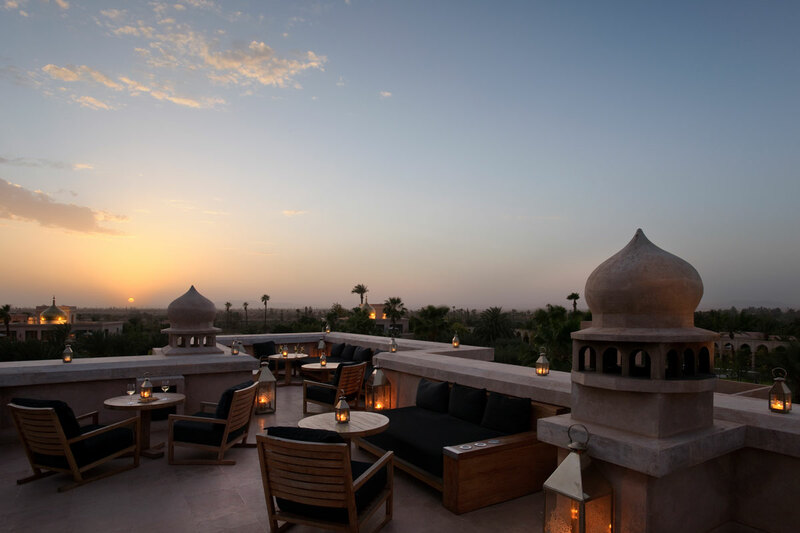 Offering a culinary experience with the talented Moroccan Chef Khalid El Goumani at the elegant “Le Namaskar” Restaurant, the guests will savor a tasty combination of a refined international cuisine with Moroccan and Asian influences. Enjoy the beauty of the palm trees and majestic Mountains at the rooftop Bar “NoMad” choosing a selection of signature cocktails and wines. 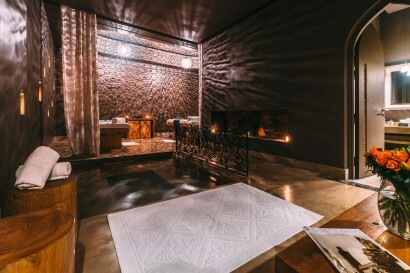 The Namaskar Spa is entirely dedicated to wellness; Having an authentic Moroccan hamam, individual and duo cabins for a variety of treatments and massages directed by Aromatherapy associates, British brand, using natural products. The Fitness center is fully equipped with the latest technology. A personal trainer is available to organize and optimize workouts, while a yoga teacher is available for guests to begin or perfect this highly beneficial activity. – All our rooms have a private terrace with plunge pool or swimming pool (heated). The property is very flexible with customized service, especially for the creation of private and exclusive events. We can arrange for a picnic lunch in the garden or engagement proposal in our ‘Island’. Our concept is: Anything, Anywhere, Anytime! 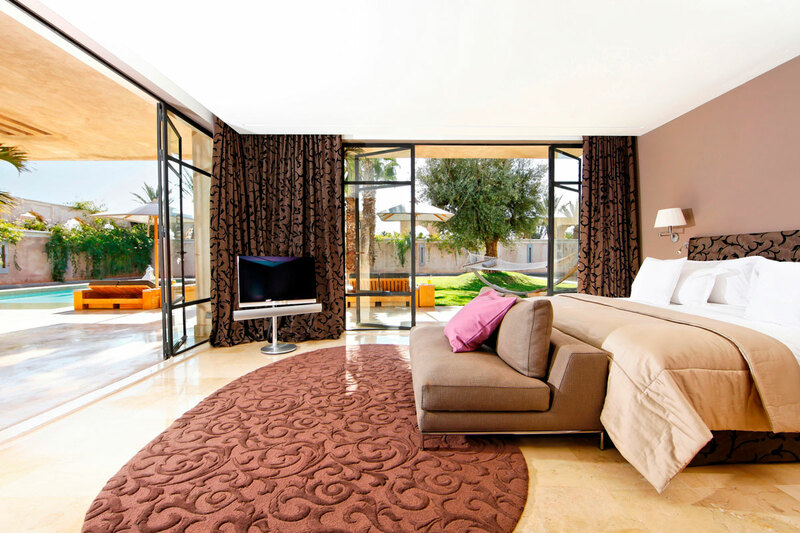 • 3 types of Suites (6 junior suites, 2 lounge suites, 6 Pool suites): An inviting 90 to 180 sqm interior designed for total rejuvenation, they all have a terrace with an outdoor heated plunge pool surrounded by a harmony pond and a private garden. • 9 Pool Villas: Refreshing sunlight graces 127sqm of interiors while the 500sqm private garden features a heated pool and a beautiful pond. 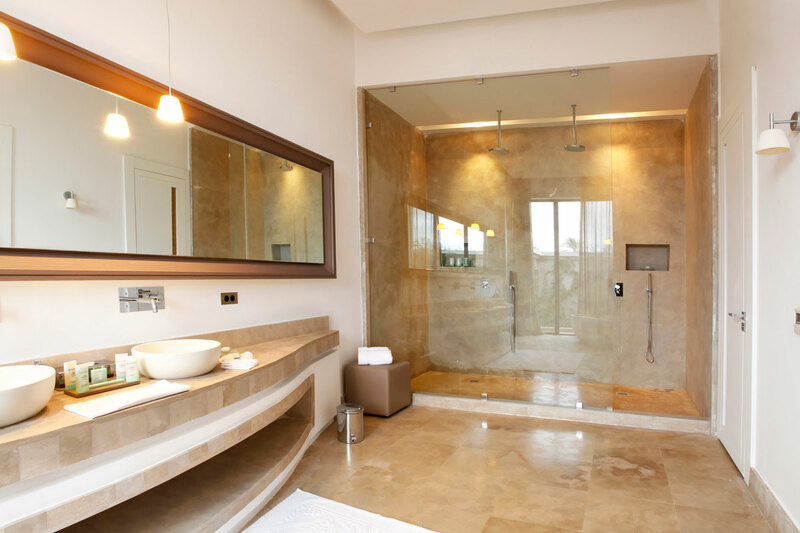 • Villa Namaskar: The Villa hosts three-bedrooms. Tasteful décor and a warm sunlit ambience grace 487sqm of uncluttered luxury and 1200sqm private garden and a large heated pool. • One type of rooms (6 Deluxe rooms): Indulging and spacious with a 44sqm interior, a 90sqm terrace and a heated outdoor Jacuzzi. 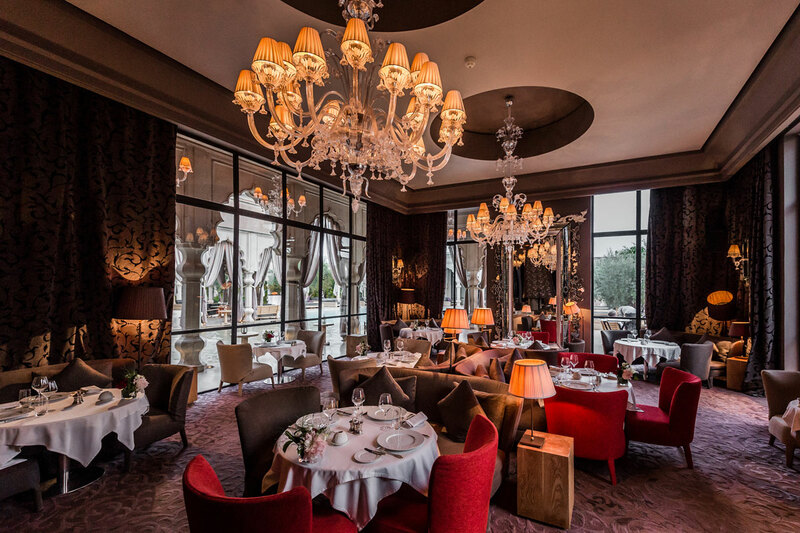 Inventive dining is intrinsic to the Palais Namaskar experience. Our rate plan is based on Bed and breakfast basis, we can offer the option of half or full board basis on request. 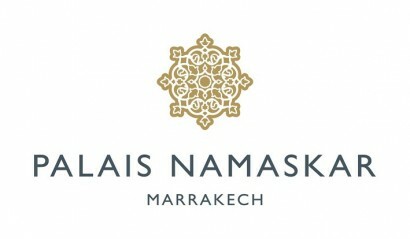 • Le Namaskar: Gourmet restaurant offering fine dining, refined French cuisine with Moroccan Fusion. 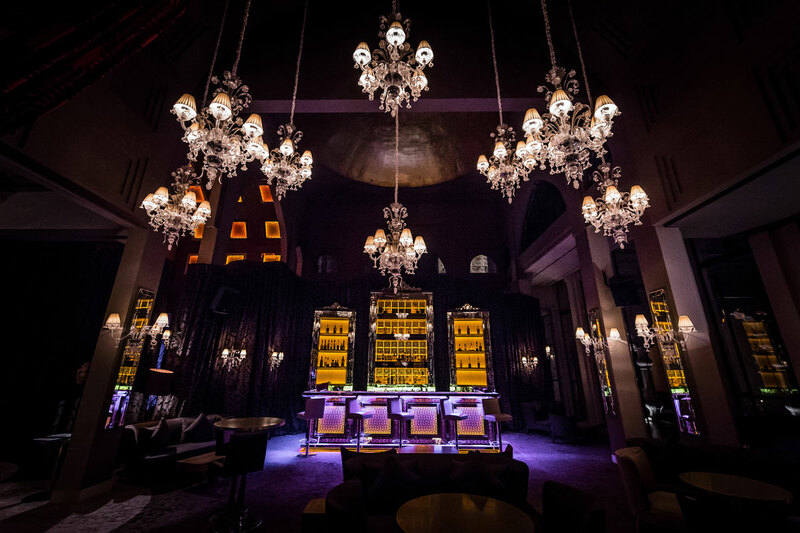 • No mad Bar: is a memorable place to party in the Palmeraie, Sunsets are breathtaking, turning the palace pink while you enjoy one of the house specialities, suitably La Vie en Rose with Rosé Champagne and Eau de Rose. • ESPACE T: a contemporary lounge somewhere to relax any time of day with tea, light snacks or an evening cocktail. • Le Namaskar Bar: elegant lounge suitable for a pre-or post-dinner drink. • 650sqm spa with 6 treatment cabins (2 couple cabins with private hammam, and 4 individual cabins with private outside terrace). Our treatments directed by Aromatherapy associates effective esthetic expertise for visible and lasting beauty results with the Palais Namaskar philosophy of physical, emotional and mental wellbeing. Beauty: Hair salon, manicure, pedicure and facials.